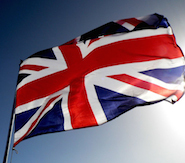 Our tour of the UK fintech scene concludes in this third instalment of the report. We started from the south of the country, then travelled west and are now travelling through the northern England and Scotland. Click here to read the first part, and click here to read the second instalment of this three-part report, written by Banking Technology’s editorial contributor Neil Ainger. Principal fintech area(s): Edinburgh and Glasgow have strong fintech clusters that are made up of both large firms and start-ups. Approximate number of fintech companies: According to Scottish Development International (SDI), a government-backed enterprise agency, the country has a vibrant 100+ start-up tech community, including specifically fintech names such as security specialists ZoneFox, The ID Co, and Money Dashboard – all part of the Edinburgh-based Codebase tech incubator – in amongst its 1,000 general technology companies. International firms such as core banking system provider Avaloq and NCR have offices in Scotland, as do global tech giants such as Amazon, IBM and Oracle. Two homegrown start-ups Skyscanner and FanDuel are notable for growing into billion dollar private firms, so-called unicorns, although neither is specifically fintech focused. Scotland is home to the UK’s second largest financial centre, Edinburgh, which is only beaten by London’s financial services hub, with all the attendant necessary legal and support services in-situ. More than 600 FIs are present including Virgin Money, Tesco Bank, RBS and Aberdeen Asset Management, which is also present in its namesake city. The City council’s Invest Edinburgh team claims a gross value-add of £4.2 billion in its last available 2014 figures and claimed 34,800 jobs for the financial services sector in 2015. Further afield, Ingenico, a Chip and PIN payment technology firm has its northern European office in Fife. In Glasgow, Morgan Stanley and JP Morgan – both known to support fintech – are in-situ. As Graham Hatton, fintech specialist at SDI, explains: “Scotland benefits from not only a strong technology and start-up culture but also a large and diverse financial services industry with expertise in banking, asset management and insurance. Many companies are headquartered in Scotland such as Standard Life, Aegon and Scottish Widows. Local specialisations: Edinburgh is known for its robust financial services position and a strong tech community across all variants, including cybersecurity and fintech. Glasgow also has a strong tech scene. Dundee is known more for its games sector. Approximate value and number of people in the local fintech scene: There are more than 86,000 people working in financial services in Scotland and over 100,000 in the general digital technology sector, says SDI. There is plenty of scope for the two to combine and for fintech to grow and grow. There are 25,109 digital tech economy jobs in Edinburgh, which includes media and other such areas, and 25,992 in Glasgow, according to the 2017 Tech Nation report. In Scotland generally, there are 101,916 people employed in the digital tech field, according to the Nesta innovation foundation that does the figures for the report using data from the UK Office for National Statistics (ONS). Some highlighted companies: SDI’s Hatton highlights the afore-mentioned ZoneFox, Money Dashboard & The ID Co as Scottish fintech exemplars, although he does admit the latter has “a small team based in Level 39 in London too” but that is merely “to access the market there” as they do elsewhere around the world from a Scottish base. Money Dashboard is a personal financial management (PFM) and analytical tool intended to help consumers budget and make financial decisions. Hatton says the start-up has raised $8 million, citing a Crunchbase report. Nucleus – a wrap platform specialist that allows people to hold their pensions, ISAs and other investments all in a single, secure, online place. It is the only independent, adviser-owned platform in the UK. Launched in 2006 it now looks after over £10 billion of peoples’ money. FreeAgent – provides online accounting and money management software for small businesses and freelancers. During 2015 the company raised £1 million on crowdfunding site Seedrs and then floated on the London Stock Exchange’s AIM market in November 2016. Hatton says it has raised $10 million, again citing Crunchbase. Lending Crowd – an online peer-to-peer (P2P) lending company, based in Edinburgh, the first such crowdfunder in Scotland. He also points to the interconnected nature of organisations such as CodeClan, Data Lab, Informatics Ventures and the Cyber Academy, many of which link into Scotland’s universities. In addition, Glasgow has a strong Github online developer community. Entrepreneurial E-Spark created a new fintech hub in May 2017 by expanding its existing year-old facility situated at RBS’s Gogarburn HQ in Edinburgh. Nucleus is based there. The opening up of the facility to all start-ups, backed by the bank, UK and Scottish governments, is hoped to provide much needed physical space for specialist fintech companies. O flower of Scotland, when will we see, your like again. Gets a cash boost via victory at the RBS-backed competition. Brave hearts can apply for an overall package of £10,000. Offers financial platform which operates like a bank account. Jim McColl, one of Scotland’s richest men, prepares to enter the UK banking arena. Reaching 150% of its crowdfunding goal.